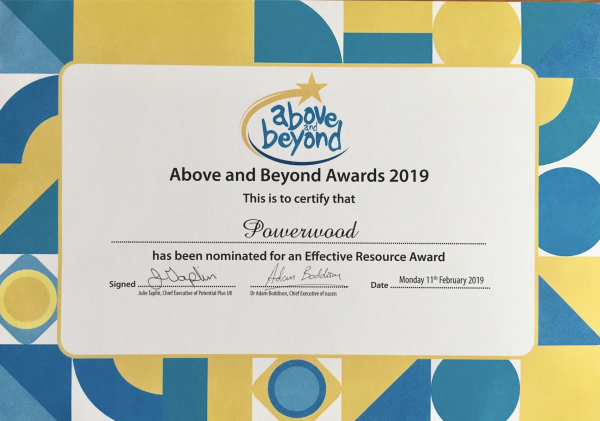 Kirsty and Abigail have represented all of us Active Contributors at PowerWood in such a lovely fashion at The Above and Beyond Awards Ceremony where the Certificate of our nomination and shortlisting was handed out. GREAT NEWS to share Lovely people PowerWood has first been nominated and now YEAH!!! 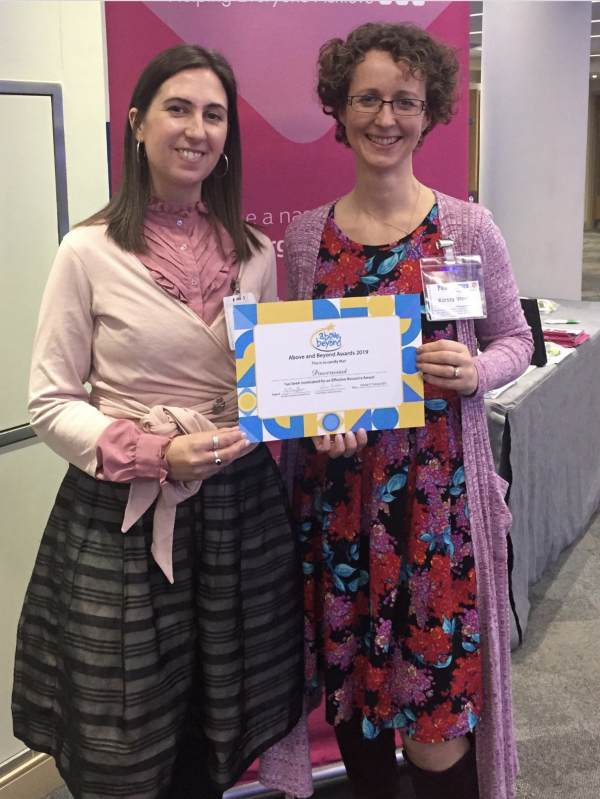 shortlisted for The Above and Beyond Awards (recognising great provision for HLP and DME children – or twice-exceptional, children who are bright and have challenges in other areas) – the Inspirational Resource Award. Effective Resource category. Thank YOU to all the lovely active contributors to PowerWood in many different roles over the years that have dedicated their time, effort and expertise to help PowerWood forward as a community-driven not-for-profit organisation to support many families and individuals, living with intensity, sensitivity and hyper-reactivity! Special thanks are going to all those families and individuals who were willing to open up and share their stories with us, inspiring us to grow PowerWood!